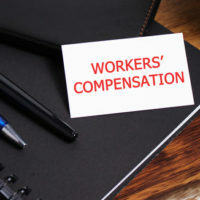 In Florida, individuals who have been hurt on the job are entitled to recover benefits under the state’s workers’ compensation law. This concept seems straightforward enough, but in reality these claims often become extremely complex. Perhaps no workers’ compensation claims are more complicated than ones related to injuries that have developed slowly over time. These long-term injuries are known as repetitive stress injuries (RSIs) or repetitive trauma injuries (RTIs). Victims of RSIs are entitled to full and fair workers’ compensation benefits just the same as any worker injured in a single accident. necessary medical documentation that can help to establish the work-related basis for their RSI. If you developed a repetitive trauma injury at work, you need to consult with an experienced lawyer early in the claims process. Your lawyer will be able to determine what needs to be done to help you secure the medical, income and disability benefits that you rightfully deserve. Were You Injured on the Job in Florida? The dedicated Tampa workers’ compensation lawyers at Pawlowski//Mastrilli Law Group are ready to help you. Our team has extensive experience handling workers’ comp claims, including complex claims involving repetitive stress injuries. To learn more about our services, please get in touch with us today to set up a free review of your claim. We protect the rights of injured workers throughout the Tampa Bay region, including in Pasco County and Hillsborough County.